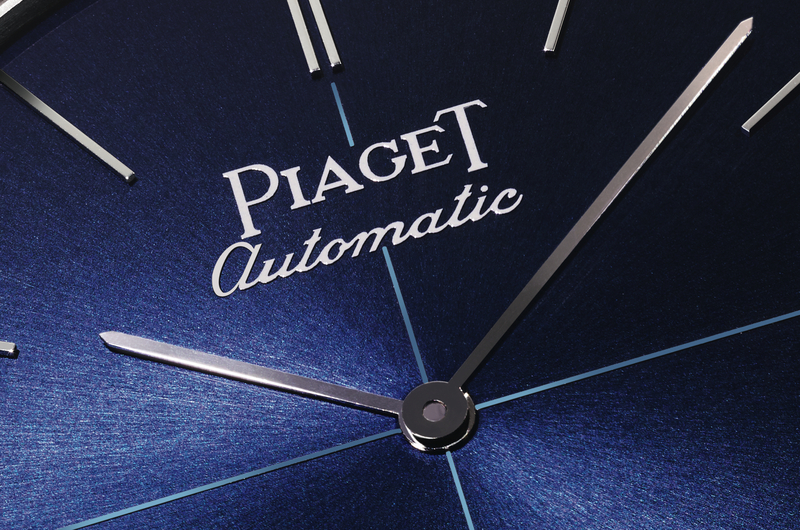 The Piaget Altiplano was already the thinnest automatic watch in the world at 5.34 mm in height, powered by the thinnest movement in the world at 2.4 mm in height. 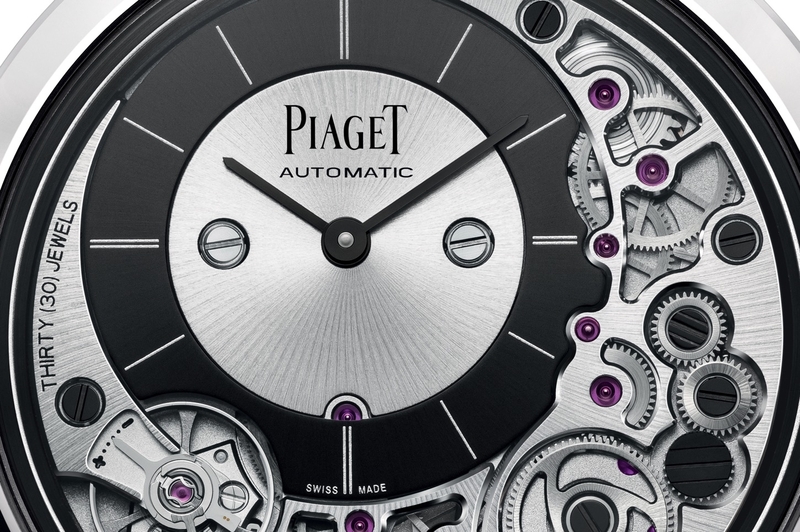 And now, Piaget holds the title for the thinnest skeleton watch and movement in the world, with the introduction of the new Altiplano Skeleton. The fact that Piaget was able to take an already fragile ultra-thin movement and skeletonize it is a testament to their watchmaking know-how. The caliber 1200S has parts as slim as 0.12mm, highlighting how incredibly small the world’s thinnest automatic movement really is. Instead of a full size rotor, a blackened platinum micro rotor is used to generate power. Furthermore, the movement was fully conceived and created in-house. The case is 38 mm in diameter and available only in 18k white gold. 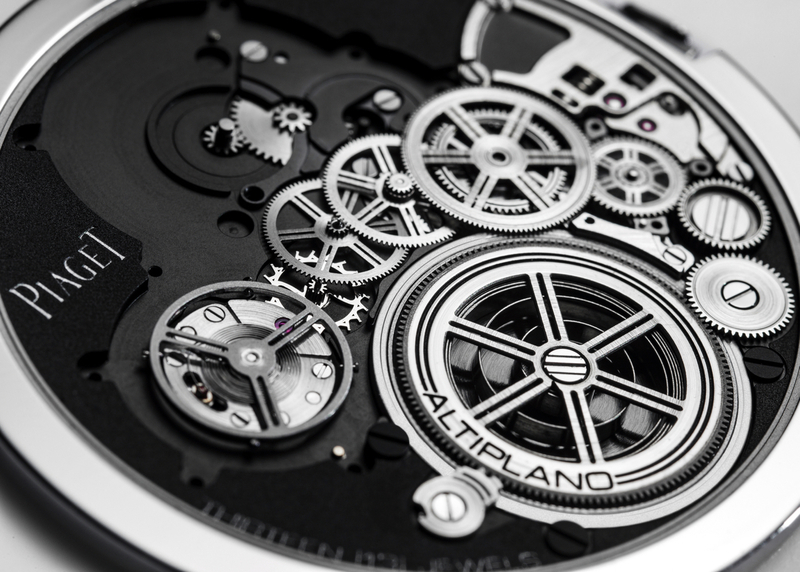 The Piaget Altiplano Skeleton is both an engineering feat and work of art.